A beautiful four tiered stacked square wedding cake. 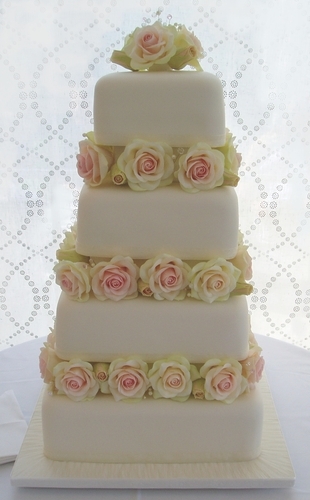 Stunning blushed pink, cream and pale green sugar Roses nestle between the tiers with rose buds and crystals. A delicate posy of sugar roses sits on the top tier.